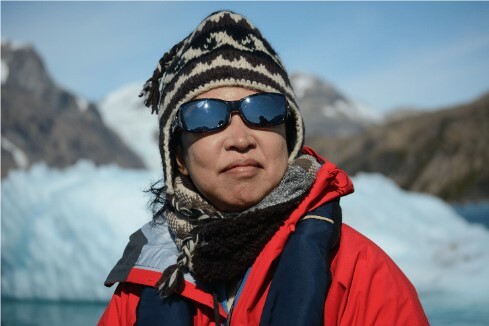 Hong Kong based boutique travel agency Charlotte Travel launches Founder’s Journeys – a 11-Day South Pacific Islands Expedition Cruise. 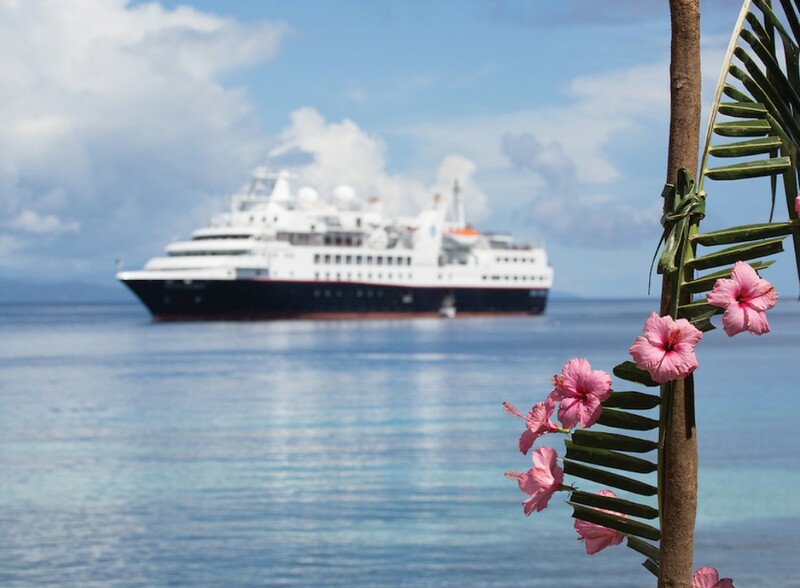 Guests will have the opportunity to travel with Jackie Harris, Founder of Charlotte Travel and board the Silver Discoverer in May 2018 to explore the stunning lagoons, hundreds of uninhabited islands and fascinating history and culture of Melanesia. 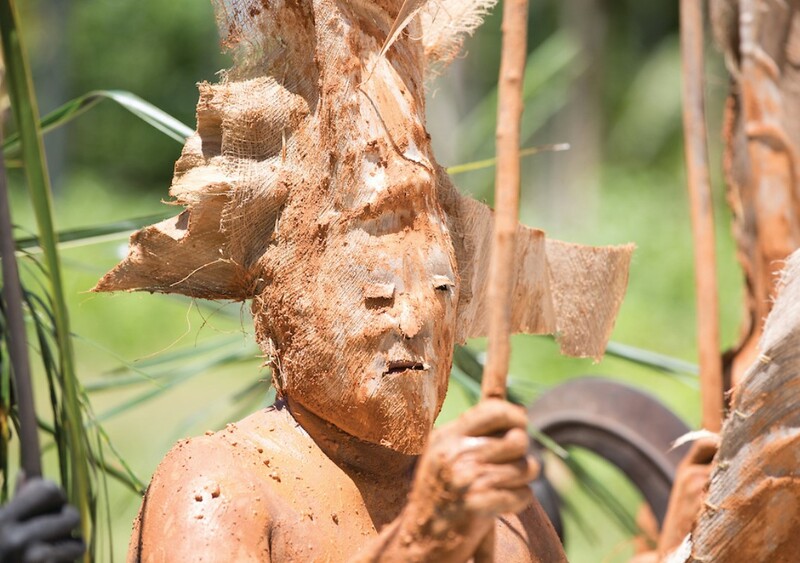 The Founder’s Journey begins from Honiara, Solomon Islands and sails all the way to Port Vila, Vanuatu where guests will experience a hypnotic taste of cultural sights, dance and traditions of the lesser known Melanesia. 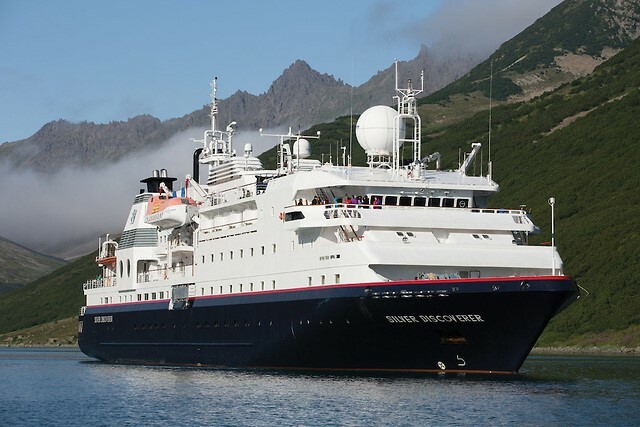 Accommodating up to 116-guests, the Silver Discoverer is the perfect base for viewing untamed landscapes, with its spacious deck and all ocean-view suites. Melanesia is home to a wealth of tropical islands where guests can enjoy sandy beaches, world class diving and snorkeling sites, spectacular waterfalls, inquisitive birdlife and much more. Known as the “Happy Isles”, these are islands of great natural beauty from jungle-clad peaks and active volcanoes to dashing waterfalls, misty rainforests, turquoise lagoons, and brilliant coral reefs. Known for their crystal blue waters and a veritable maze of coral reefs, guests can explore Skull Island within the lagoon, where there is a shrine of local warrior chiefs from this region’s head hunting era. Karumolun Island is a local melting pot of copra plantation workers from various different Solomon Islands and relocated settlers from Tikopia, developing diverse Melanesian and Polynesian culture. Pavuvu was the largest island that produced copra (the dried meat of coconuts). While extensive coconut palm plantations can be seen carpeting the islands in shades of green. A part of the Russell Islands, the area was chosen by the American Marines during World War II to prepare for battles much further east, but little remains of their presence. Roderick Bay, a small verdant green island, is situated in a hidden cove on the Northwestern side of Ngela Sule. Guests will have the chance to snorkel around the wreck which has now become a thriving artificial reef. Port Mary is the name of the bay adjacent to Ghupuna, the main village in Santa Ana. The houses on the pristine white sand beach are made with local materials and most are built on stilts. Guests will be welcomed by the Islanders with traditional songs and dances performed by members of the three different villages on Santa Ana. Nembao, one of the main villages of Utupua Island can be reached through the bay along the west coast. 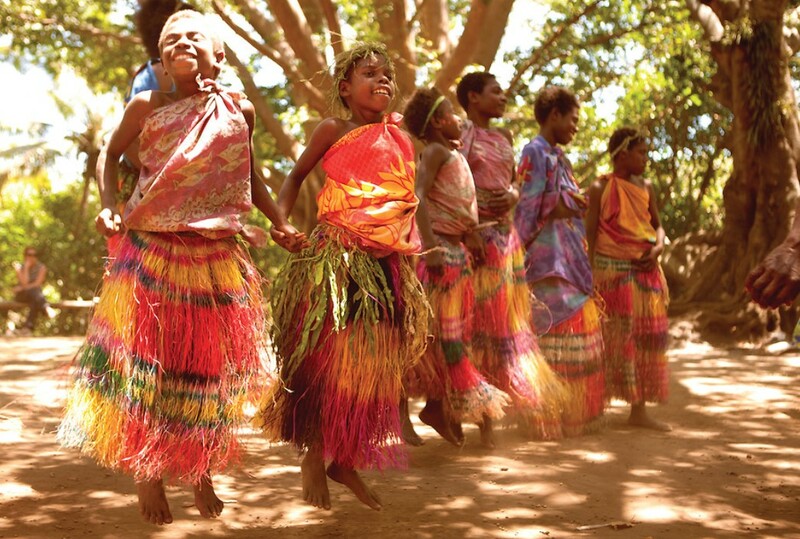 Still very connected to their culture; the residents of Nembao are likely to welcome visitors with a presentation of traditional dances and songs. The beaches are lined with the houses, fishing canoes and small plantations. Champagne Beach is found in Hog Harbor on Espiritu Santo Island in Vanuatu. 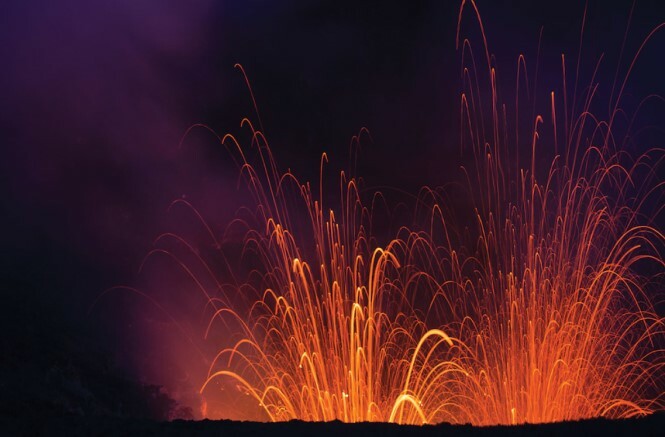 The name “Champagne Beach” comes from effervescent bubbles of volcanic origin that are occasionally found in the waters of this stunning spot. Pentecost Island is a lush mountainous, tropical island stretching over 37 miles from north to south. Local traditions are strong, including the age-old ritual of land diving. Here the people perform a very special and traditional ‘Rom’ dance. Located on the south-eastern shore of Tanna, Port Resolution has a long black sandy beach with hot springs at its western side. Port Resolution is named after Captain Cook’s famous ship and he was the first known western explorer to describe entering the bay. Port Vila is the capital and largest city of Vanuatu, an island nation located in the southern Pacific Ocean.